When hundreds of thousands of Ukrainians took to the bitterly cold streets of Kyiv in early 2014 to push back against the corrupt and brutal Yanukovych regime and its rejection of a Ukraine’s Euro-Atlantic future, they expressed an unwavering desire for a democratic, prosperous and secure nation. After Yanukovych fled Ukraine, the United States, European Union, International Monetary Fund, World Bank and other international partners responded to Ukraine’s calls for help. They provided significant resources including technical assistance and macroeconomic support to help stabilize a weakened government and economy. They also condemned Russian military aggression and imposed sanctions on Russia. Despite this unwavering support, the promise of a new Ukraine that arose from the Revolution of Dignity is now in jeopardy. It is under threat from Russia’s destabilization efforts, and from the domestic elite that seeks to reinsert itself politically and economically while stalling critical anti-corruption reforms. These same domestic forces have held Ukraine back since independence in 1991. The Ukrainian government now needs to make a far stronger and clearer commitment to combating corruption. This is the only way this nation of 45 million will prosper and integrate into the Euro-Atlantic community. That is why the American Friends of Ukraine Network (FOUN) has recently joined the chorus of international partners and Ukrainian civil society groups in calling for decisive action by President Poroshenko, the Ukrainian government and parliament in the fight against corruption. We are particularly concerned about Ukraine’s anti-corruption infrastructure and stalled efforts to establish an independent Anti-Corruption Court. While new anti-corruption institutions including the National Anti-Corruption Bureau (NABU), the Specialized Anti-Corruption Prosecutor’s Office (SAPO) and the National Agency on Corruption Prevention (NACP) are now in place, this architecture is incomplete. Instead of further progress, the work of existing institutions faces obstruction and anti-corruption activists find themselves targets. The verdict is out on whether the Ukrainian government is willing to adopt the necessary reforms to transform their country. 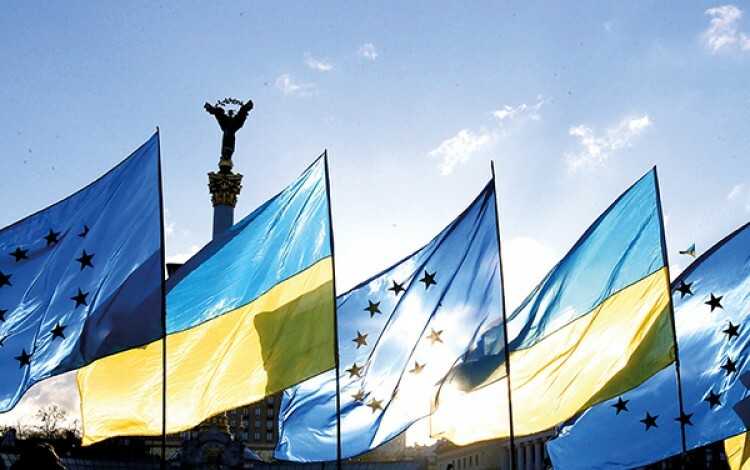 Recently, the EU announced additional macroeconomic support for Ukraine. The EU was right to tie this new assistance to reforms, urging Ukrainian authorities “to take forward the reform drive with renewed vigor, to build a fairer, more stable and more prosperous country in the interest of all Ukrainians." The strongest supporters of Ukraine within the EU are now urging the Ukrainian government to implement key anti-corruption reforms. Despite deep concerns in Washington about a potential Ukrainian economic collapse in early 2014, Ukraine’s economy and its people were resilient. They remain resilient today, even as they face formidable external and internal challenges. However, this resilience is not enough. As former US Secretary of State Rex Tillerson said in December 2017: “It serves no purpose for Ukraine to fight for its body in Donbas if it loses its soul to corruption. Anti-corruption institutions must be supported, resourced, and defended.” We could not agree more. Ukrainians have survived decades of corruption, poverty, weak governance and Russian meddling. They deserve better. Supporters of Ukraine need to urge Kyiv to intensify its reform efforts and closely monitor this effort. This is nothing short of essential for the peace and prosperity of the people of Ukraine. About the authors: Clifford Bond is a former Coordinator of US Assistance to Ukraine at the US Embassy in Kyiv and former US Ambassador to Bosnia and Herzegovina. Orest Deychakiwsky is a former Policy Advisor at the US Helsinki Commission. Jonathan Katz is a former Deputy Assistant Administrator at the Europe and Eurasia Bureau of USAID.